This picture circa 1938 of the “station” at Dunns Station the location of my childhood and formative years. 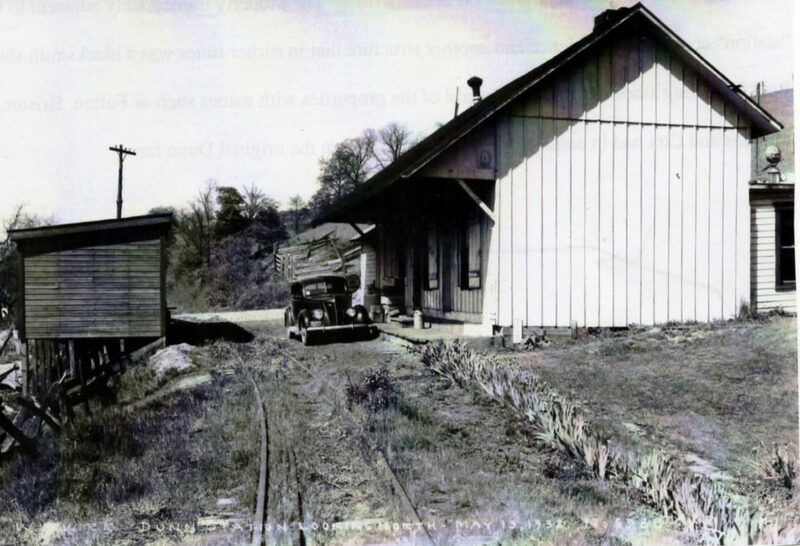 The building housed the station of a narrow gauge railroad, a post office and a general store. On the left is a small warehouse. For more information about Dunns Station click below.